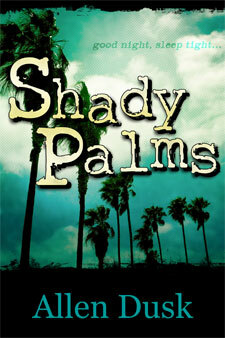 Home News Updates Completed Projects Archive for category "Shady Palms"
Updates on Allen’s 1st novel Shady Palms, a modern-day sci-fi splatterpunk horror story. This book is now available in paperback, ebook, and audiobook. 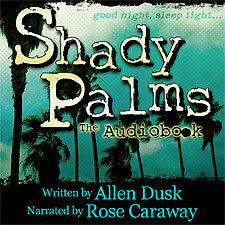 Continue reading"Shady Palms: The Audiobook"
Continue reading"Dark Discussions Interview for Shady Palms"
Continue reading"Rotten Rantings Interview for Shady Palms"
Continue reading"Book Guys Interview for Shady Palms"
Continue reading"Shady Palms – Now on Sale"